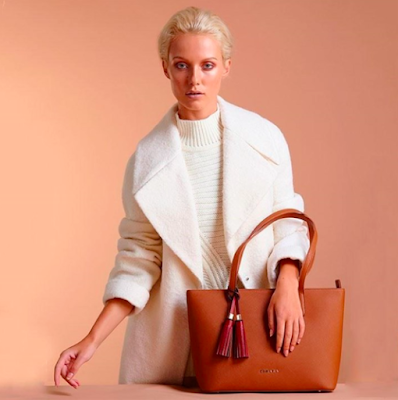 Just a quick post to give you a heads up that local handbag company Zohara have a clearance sale on all their Causeway collection bags with prices for their gorgeous leather bags starting at £49! The sale is happening over on the Bellamia Boutique website - which is the retail arm of Zohara and I thought I'd share my favourites from the sale, starting with this orange beauty, which I've featured here before.. Perfect Mother's Day gift perhaps?! No cross body bags in the sale unfortunately - there were a few when the reductions started but they're sold out now and I expect these other well reduced ones will be gone within a few days. Hope you're all starting to see a bit of a thaw where you are. I'm so looking forward to a week of clear roads and to wearing something other than snow boots and thermals! Disclaimer - I was not asked to or paid to write this post. The links are affiliate links which means that Zohara will know you came to their website from mine and may pay me a small commission if you buy and keep one of their bags. M&S Home Event | Voucher Giveaway!